Urinary incontinence can be an embarrassing symptom and certainly an unwelcome side effect of some types of back surgery. The invasive nature of neurosurgery carries large risks; increased urine production may be seen post surgery in patients with no history of incontinence. The pathology lies in damage to nerves responsible for controlling urine retention. Patients presenting with incontinence following back surgery are commonly evaluated for neuropathic incontinence. This type of incontinence, which may be categorized as either active or passive, is typically due to nerve damage that leads to bladder dysfunction. “Active” neuropathic incontinence results in problems retaining urine in the bladder. When nerves that allow relaxation and expansion of the bladder are damaged, the result is a noncompliant bladder that is unable to accommodate incoming urine. 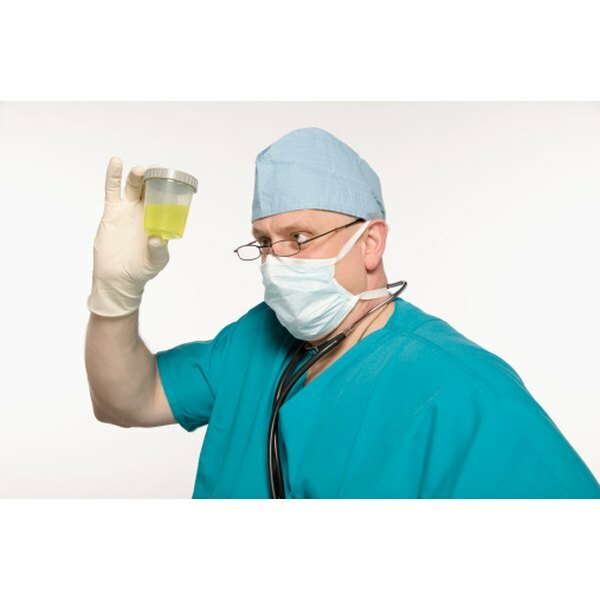 Without the ability to expand, urine essentially leaks out at the rate it is produced; the effective size of the bladder shrinks significantly. To the patient this may appear as an increase in urine production; however, it is actually a loss of the bladder’s reservoir function, which leads to more frequent urges. Alternatively, “Passive” neuropathic incontinence may be the result of damage to nerves controlling the outgoing valve, also known as the sphincter. In this case, the bladder is still capable of expanding, although urine will tend to leak out even with mild increases in pressure. This is because the flow of urine is determined by two forces, the pressure from within the bladder forcing urine out, and pressure of the sphincter keeping urine in. Without a properly functioning valve, the patient becomes unable to retain volume in the bladder, leading to more frequent bathroom breaks. According to the chapter “Urinary Incontinence” from the “Smith’s General Urology,” increased urine production following surgery requires your physician to sort out which type of neuropathic incontinence is the cause. Dr. Tanagho states in the chapter that patients may be suffering from a combination of the two types if the nerve damage is significant and treatment strategies must be adjusted accordingly. While incontinence due to nerve damage during surgery is a relatively straightforward diagnosis to make, treatment remains a difficult undertaking. Depending on the type of neuropathic incontinence, active or passive, medications are available to correct the muscular problems in the bladder and sphincter, respectively. Additionally, surgical management may be an appropriate option in certain cases. Ultimately, the goal is to identify the root cause of the incontinence and obtain early treatment for the best chance of preserving the urinary system.